Only part of the vehicle’s roof was visible when emergency services arrived at the scene. 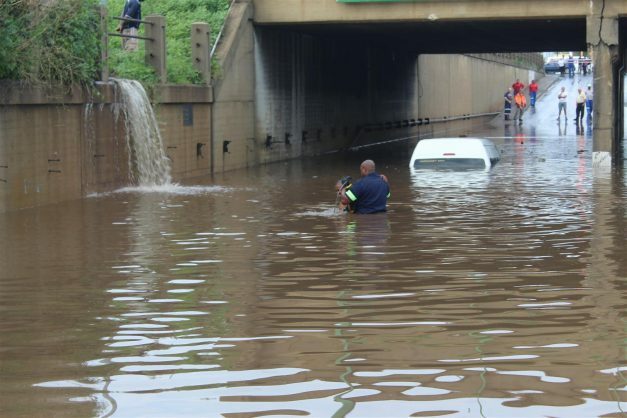 A storm filled the Stoffberg underpass with water, trapping a taxi driver who underestimated how deep the water was. Emergency services saved a minibus taxi driver after his vehicle got trapped at the Stoffberg underpass in Brakpan on Monday morning, reports Brakpan Herald. The driver, 33-year-old Richard Wamusi, was alone in the vehicle. He had dropped off children he was transporting just before the minibus crashed into the water. The underpass filled up with water after a storm hit the region earlier that morning. According to information received, the driver risked driving through the water, and got stuck as a result. The back window of the taxi was broken, so that a steel cable could be fed through to drag the minibus out of the water. The owner of the taxi, Lucky Sikosana, said he received a phone call from the taxi driver earlier that morning. 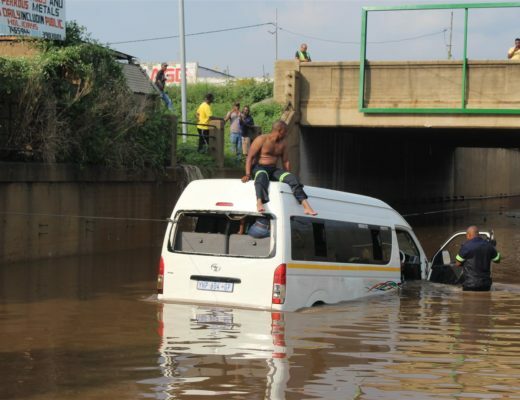 “He told me that he was trapped in water and I told him to try to get out of the taxi, but he said that wasn’t possible,” Sikosana said. 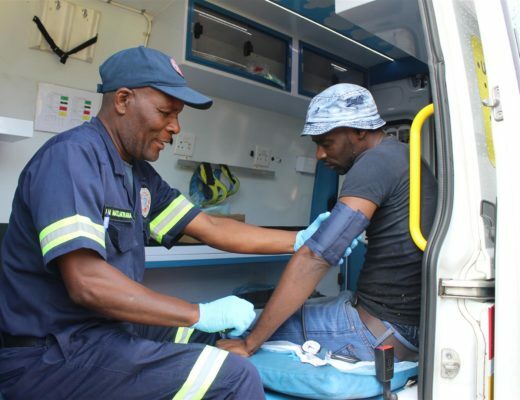 Wamusi was brought to safety and treated on the scene by paramedics. The underpass will be closed indefinitely to prevent further incidents. This article was translated by Nica Schreuder.